Hi there, I am SO excited that you are here. I am offering free engagement sessions! Yes, you read that right. Completely free! No strings attached. Keep scrolling for more info on what I’m offering, then fill out the contact form at the bottom of this page. I can’t wait to plan an amazing adventure with you and your person. Absolutely no obligation to purchase anything. I promise. SO WHY AM I GIVING AWAY FREE ENGAGEMENT SESSIONS? First of all, I love engagement sessions SO MUCH. They are seriously my favorite. 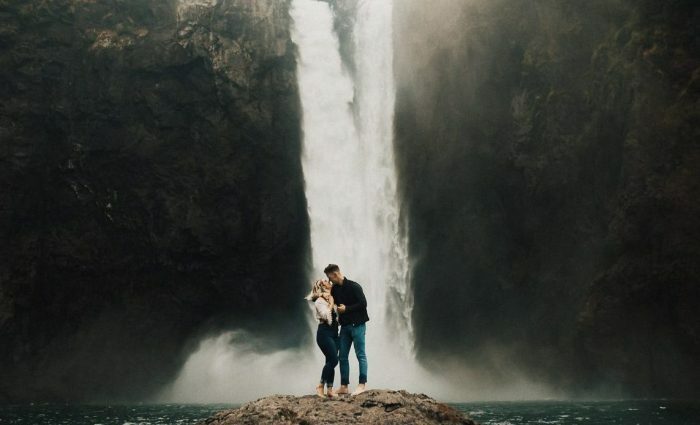 I love meeting new couples and getting to go on incredible adventures with them. I am also a HUGE believer that the person you choose to shoot your wedding should be someone you connect with. There is so much more to your relationship than those stiff fake smiles, and awkward prom poses that you see everywhere. It’s the authentic candid moments shared between you and your person. The real stuff. A photographer that you meet for the first time on the day of your wedding isn’t gonna be able to capture that. Trust me. 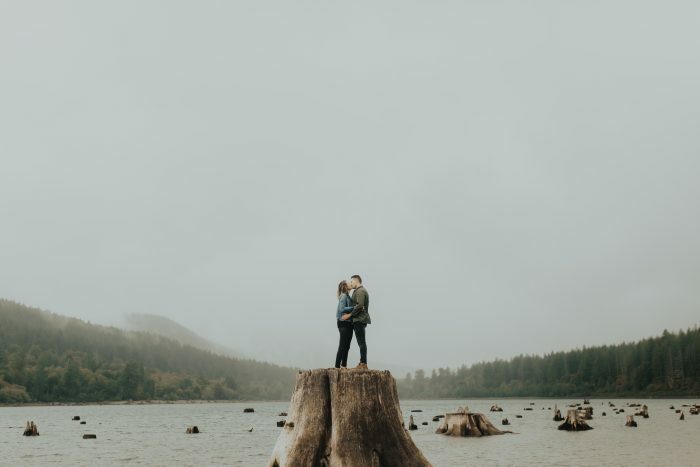 Engagement sessions are such a great way for us to get to know each other and build a connection, which is exactly why I am doing this! Choosing your wedding photographer is seriously one of the most important decisions you will make for your wedding. Photos are the ONE tangible thing you will take away from your day, and that’s why it is so important to absolutely love your photographer. What better way to get to know each other and see if we would be a good fit than to go out and take some amazing photos together? We really don't have to purchase anything? Nothing at all? This is too good to be true! Nope! You will get 30 images delivered to you through an online image gallery. You will be able to download them at a high resolution as many times as you want, and you will have full printing rights. I'm not gonna try to sell you on purchasing more images, prints, albums, or anything like that either. Seriously. I just want to give you a great experience and photos to cherish forever and ever. You will receive the photos within 2-3 weeks. I’m a huge believer that editing is half the magic of the finished photos. Because of that I take my time with editing so that I can perfect every single photo, while also making sure to work as hard as I can to get your photos delivered to you as fast as possible. Do you help plan out the session? Yes! I usually do most of the planning for my couples! If you have somewhere in particular that you would love to take photos then we can totally do that, but most of the time my couples leave it up to me! Once I get to know a little more about you two then I will come up with a few location options for our adventure. It's so important to me to create an experience out of your photos that will be unique to who you two are. What do we wear for the photos? I have a style guide that I will send over, but I always tell my clients to wear something that is comfortable and feels like your style. The most important thing is that these photos feel true to who you are! If you have a more laid back style then it doesn’t make a ton of sense to get super fancy. Sticking to neutrals is always best too, but don’t worry this will all be covered in my style guide! I am also always here to help. If you are struggling you can always shoot me a message and we can figure out something amazing, because the most important thing to me is that you feel like a million bucks! "Wow wow wow, working with Carissa was above and beyond anything we could have ever hoped for. Not only will we forever cherish every single photo we received, but we also had an incredible time during our shoot together. The photos are just so US. They are art. We couldn't ask for anything more. She is such a blast to work with and running around the desert with her has now become one of our most favorite memories together. Seriously, hire her. She is worth every penny. " "Carissa is absolutely amazing! My fiancé and I are not used to being in front of a camera and were a little nervous about it but Carissa made us feel so incredibly comfortable. She was really able to capture the essence of our relationship. It wasn’t about staging the perfect poses but about capturing real authentic moments that made for some truly unbelievable and unique photographs. I couldn’t give a higher or more heartfelt recommendation than I would give for Carissa. She is a real talent and we were lucky to have gotten to work with her." "We chose to work with Carissa because we didn't want the perfectly posed "smiling at the camera" images that you see all the time. 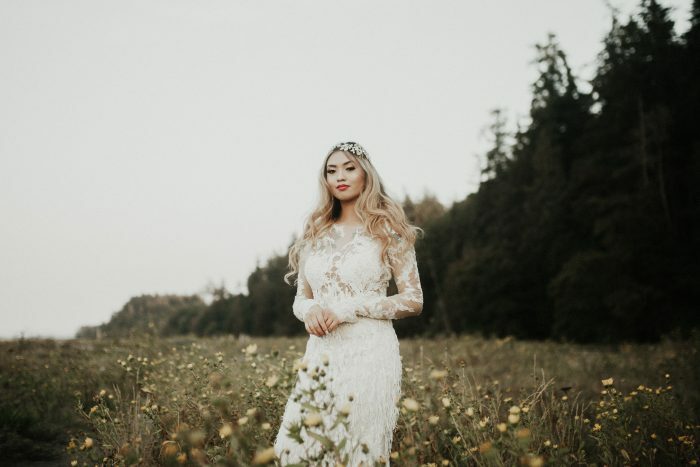 We chose her because we felt like every single one of her images captured the couple in such an authentic emotional way, that told the story of who they are. We were so excited and nervous about shooting with her, but she immediately made us feel so comfortable, like we had known her forever. During the shoot we completely forgot we were even in front of the camera, and instead were just caught in the moment with each other having the the time of our lives. The photos are more than just photos. They tell our story of exactly how we are at this special time in our lives. Working with Carissa was the best decision we ever made." 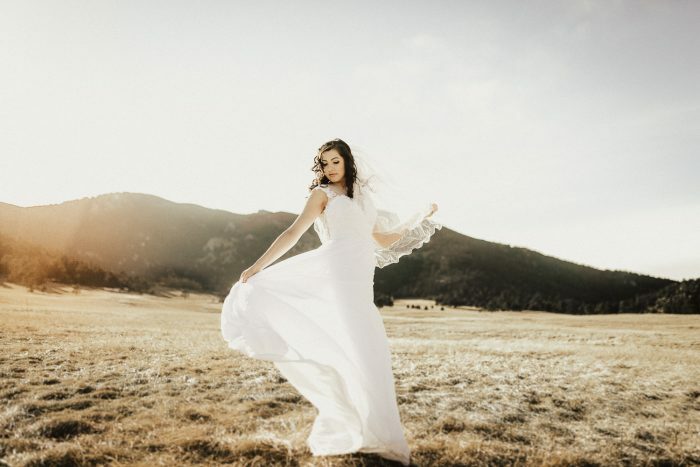 "Carissa is an incredible photographer with a fantastic eye and has an amazing ability to put a person at ease. She's up for anything and went above and beyond to ensure that we had the exact snowy experience we were looking for. 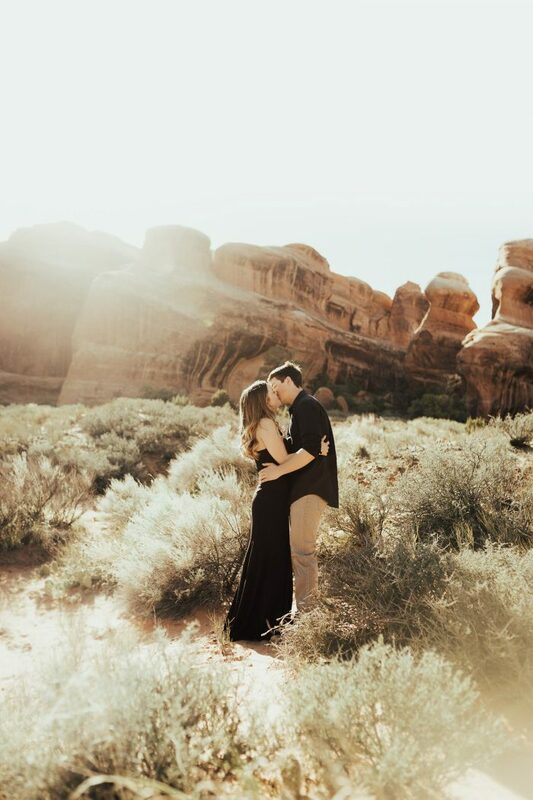 We had an absolute blast with her on our engagement shoot and couldn’t have imagined a better experience. 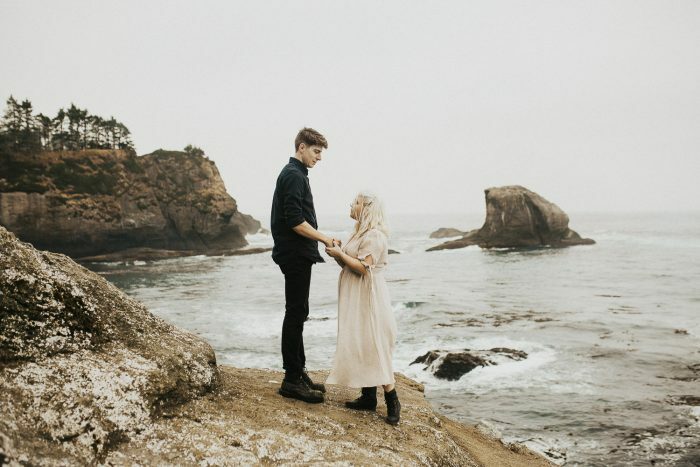 Thank you so much for capturing us as a couple, quirky and oddball as we are." "Oh. My. GOD. Girl, you are a magic maker!!! This is so absolutely priceless! I am head over heels in love with your style and how you captured every single intimate detail of our relationship, how intimate and raw it is. And we look fine as hell." "You were absolutely amazing to work with! You're extremely professional, while also keeping the vibes casual and mellow, on a day that can otherwise feel very stressful at times. Our photos came out stunning, and you captured so many great candid moments (exactly what we wanted). I am so happy that we chose you to photograph our wedding, and we'll be sure to recommend you to anybody looking for a wedding photographer. Thank you!!" "Working with Carissa was amazing! It felt like spending a day with a lifelong friend- both my boyfriend and I had a great time and the photographs were phenomenal. They really captured our spirit and personalities. Wouldn't hesitate for a moment to recommend Carissa!" Run don’t walk, my availability is limited! If you are just shopping around for a good deal then we might not be the best fit, and that’s totally fine! The service I offer is not like most photographers. I want to work with people that really connect with everything I said and value what I have to offer beyond just a good deal. If you feel like that’s you then fill out the contact form below and I will be in touch ASAP to see if we are a good fit. I can’t wait to plan an amazing adventure with you and your person.